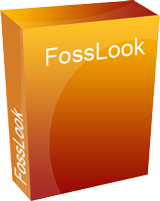 Welcome to FossLook Holiday Deal! Happy New Year from FossLook, your reliable and affordable business automation platform! Welcome to our New Year sale! Now you can get a full licensed version for FREE! For a lot of people New Year begins with resolutions and new journeys. It's a whole new year, and for many that means new changes and new beginnings. For someone, the past year has been very successful, for others not so much. It's time to look at it, summarize your ups and downs. And what better way to start your year off with a completely new approach to your business? FossLook has all the things you need for successful business automation: flexible workflows, contacts management, ability to create custom document types, printing templates and much more. We've made it our goal to help you transform those tedious processes and streamline them as fast as possible. Start your new year off the right way, and use our product to improve your business. We've got everything you need for your success. Thanks for your time, and have a great new year!